day 3 of #mabsdrawwlloweenclub . 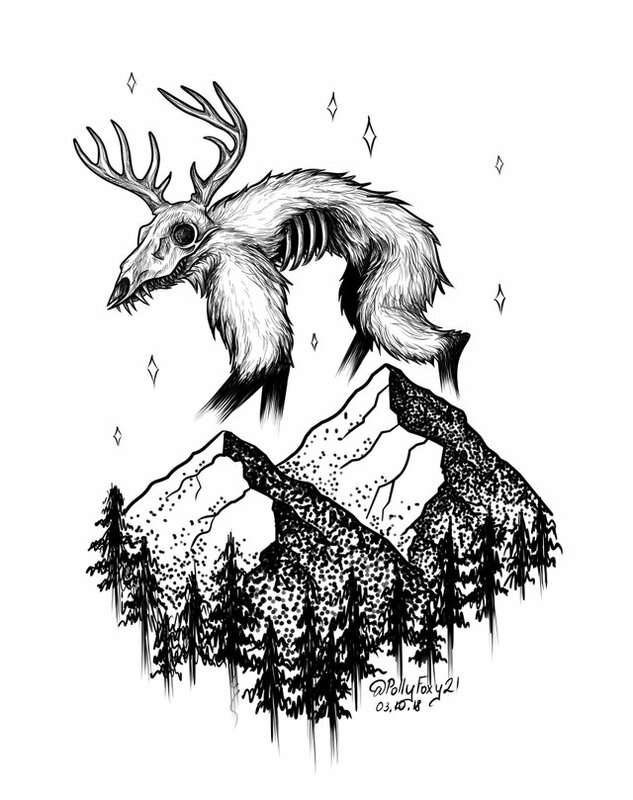 Wendigo. Hi guys! And, again from me the continuation of the challenge, and it will be Wendigo, I decided to draw it, because I liked the story of this monster! So I want you to read it too! 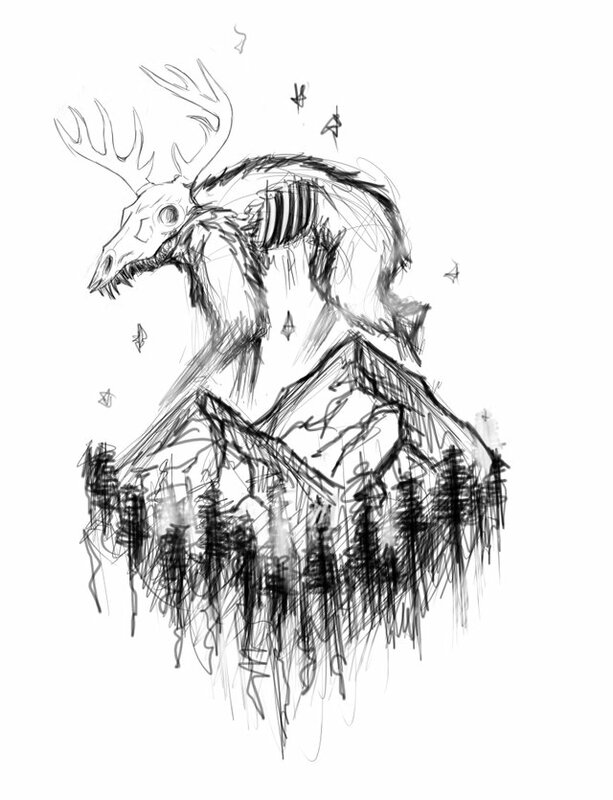 Wendigo is a man-eating spirit. He lives in the north, traps people and attacks them. Initially perceived as a symbol of insatiable hunger, later began to serve as a warning against any excesses. The Indians themselves, speaking of the emergence of the Wendigo, recognize that there are several versions: The first of them has nothing to do with cannibalism, it is rather about self-sacrifice. When the native tribe is pursued by enemies and the family is in mortal danger, the best warrior of the tribe voluntarily agrees to a terrible sacrifice: he gives his soul to the spirits of the forest. Turning into a terrible monster, he helps the tribe to win, but then, when the threat is eliminated, the monster warrior cannot become human again. 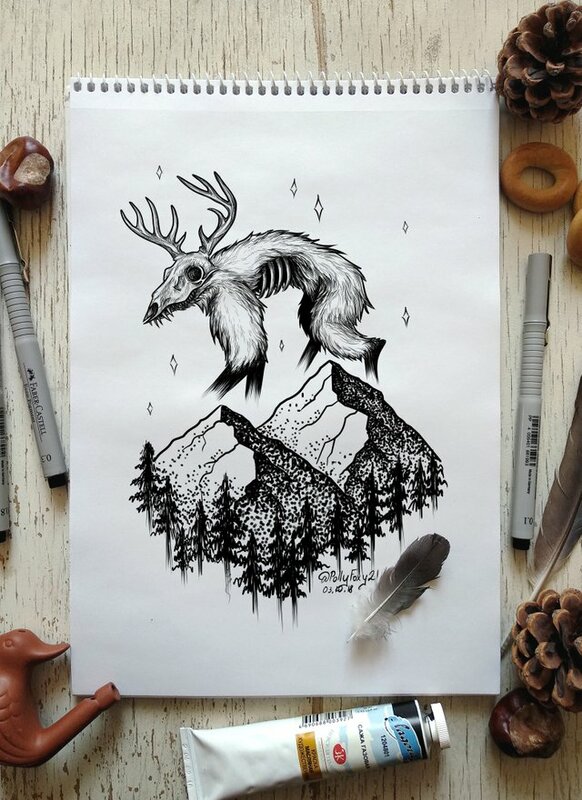 His sacrifice is accepted - and he leaves forever in the forest, where he finally turns into Wendigo, and his native tribe begins to hunt for him: after all, Wendigo is a mortal danger to people. 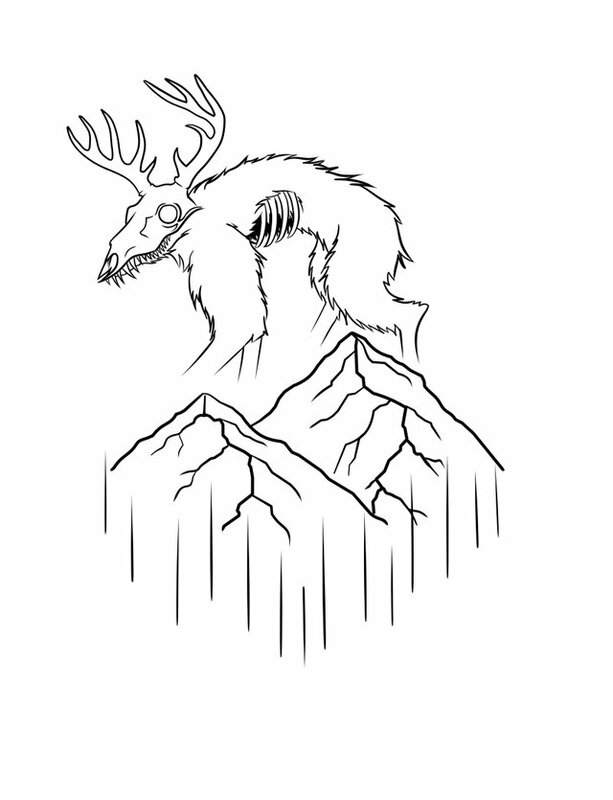 It is said that the Wendigo becomes the shaman who is overly fond of black magic. And, although they claim that shamans know how to be Wendigo, without becoming cannibals at the same time - nothing is known about this. 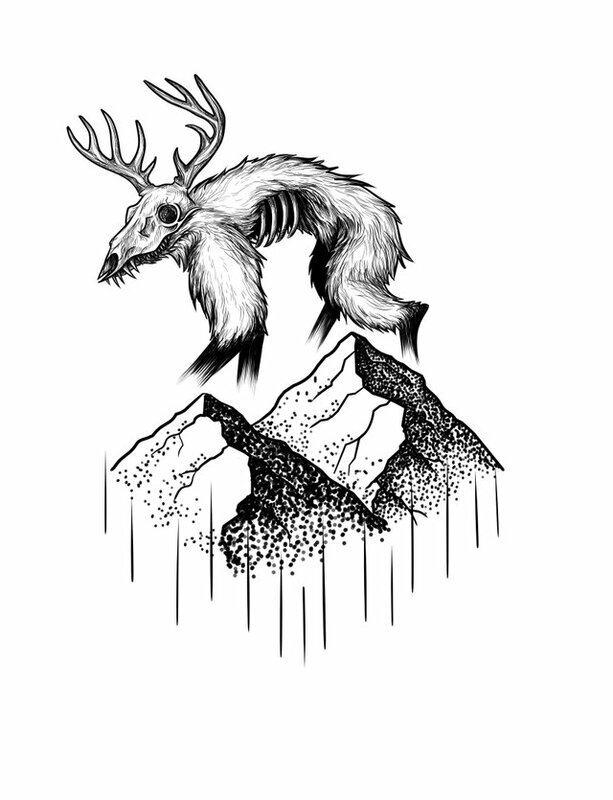 And here is another version, no worse and no better than others: an ordinary person can also become a Wendigo - of his own will. We must start with fasting. How much can you stand without food: a day or two? A week? When hunger becomes unbearable, it's time to go to the forest. Wendigo himself will find you, do not even hesitate. Most likely, he uses the "volunteer" as food for the winter, but maybe - why not? 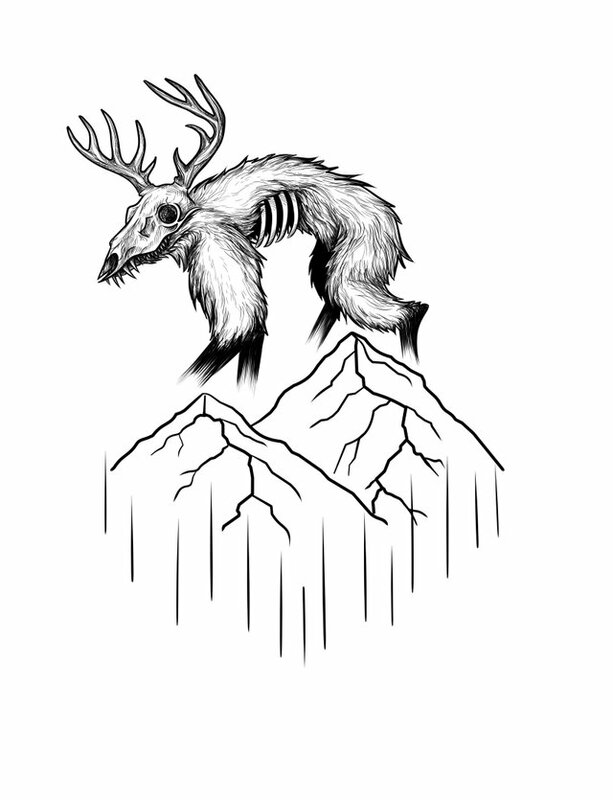 - make you wendigo. After a meal from human flesh, the body of the “volunteer” will gradually become covered with hair, claws grow, eyes will learn to see in darkness, and raw human meat will become the most desirable food. And finally, the last, most probable version is cannibalism. Winters in the north are harsh. North American Indian tribes were often cut off from the rest of the world for long months. And when the food ended, and before the spring was still far away, one simple question arose: how to survive? There were cases when a person ate his family or neighbors, but the payback was terrible - gradually such an ogre became the Wendigo. Its a very fascinating character and it reminds me of character in TV series 'Hannibal' based on this character. Your drawing is usual quite attractive. Thank you so much! I have not seen this serrial! But I think it must look! Now I will never go hungry to the forest, lol! What a scary story! I like your drawing. It is scary too! :) Thank you for sharing!